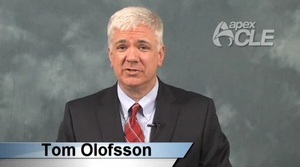 Tom Olofsson is an attorney practicing in Illinois. He helps clients in a few limited areas of the law including planning their estates, protecting their assets and passing those asset to their loved ones when they die. He also helps them qualify for government benefits when necessary. Tom: “People come to me because they are concerned about their future and because they care about their family and friends. My clients have thanked me for helping them prepare and helping them feel more secure. I work with attorneys and professionals who provide other services. If you have a question or concern that I am unfamiliar with then I probably know someone who can help you with it. Call and I will see what I can do for you. If you would like to protect your assets or if there is someone you care about then feel free to call me. We can talk about how I might support you in your efforts."